Carlos Cardoso immigrated to the United States in 1961, when he was ten months old, brought by his parents, who were fleeing communist Cuba to pursue freedom and liberty in the United States. Carlos has always been fascinated by history, especially American history. The belief that we live in historic times compelled him to write this book to fight for our posterity with faith in our founding principles. 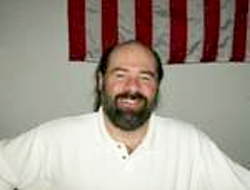 He has a degree in safety engineering and currently resides in Nevada with his wife and three children. Carlos, i’m trying to reach you for an interview with Telemundo. Would you please call me at 818-422-6316? I will call you tomorrow, October 10. 2011. What time zone are you so I can know when to call? I’m Pacific time. Carlos, I see you are running for school board Trustee in District C, for Washoe County. I was wondering where you stand on allowing faculty members to carry concealed firearms at school? Under NRS 202.265, the principal of a school could give written permission to a faculty member allowing them to carry a concealed firearm.